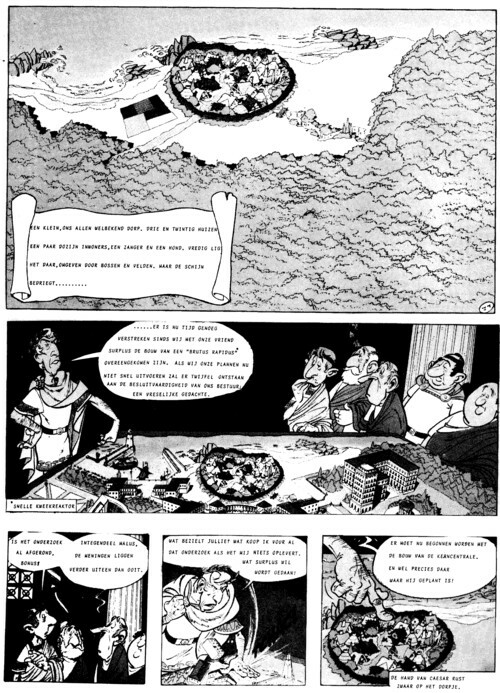 When i was a kid i made a fanzine about Asterix. It was a photocopied A6 sized zine with some background info on the comics. I think the circulation was 10 copies. I send the first two editions to the publisher of Asterix and got a leter back in which i was told to stop making this magazine and risking a lawsuit if i didn’t. I remember being flabbergasted for days over this reaction. I would have loved to have done the letering for this book! I already was a letter in 1979 when this comic was published, but the makers probably thought i was not to be trusted, if they knew me at all. 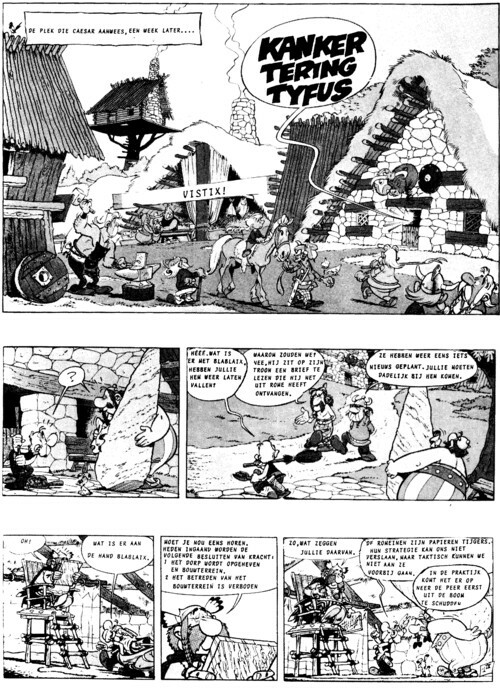 The artwork is from the original Asterix comics; only the texts havebeen changed. 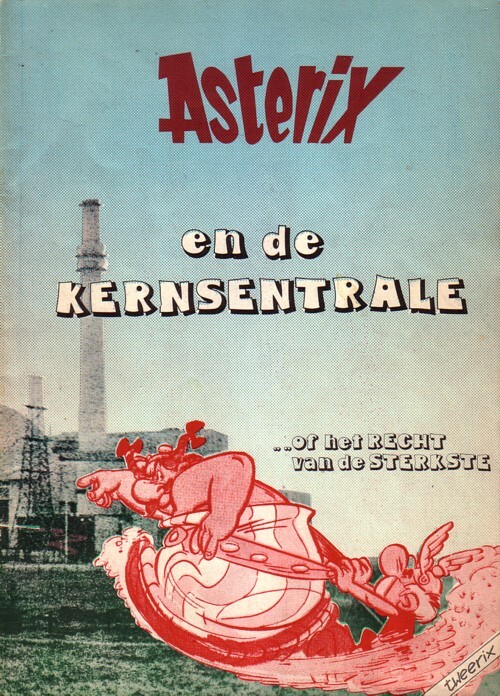 The story is about the Romans wanting to built a nuclear plant on the ground where the village of Asterix is. It is now over thirty years later and i think it would be a good moment to re-relase a better version of this story. I full colour with hand lettering. I am still available!